Sorry, OneDrive—even a terabyte isn’t going to cut it. On Tuesday, Box announced integration with Microsoft Office, and subscribers can store as many files as they want. 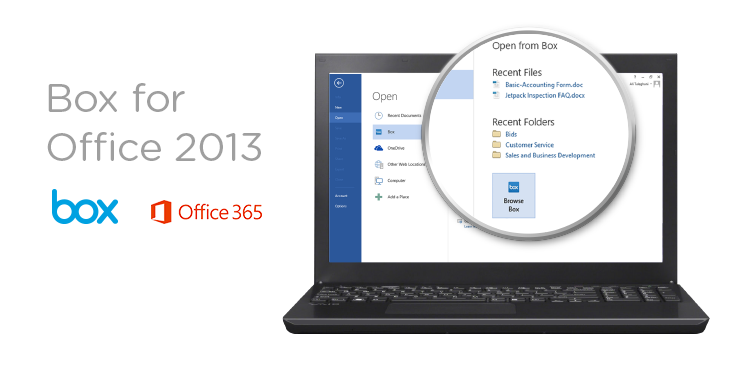 In fact, users of both Microsoft’s Office 2013, Office 365 and Outlook will be able to natively store files in Box. If users choose to link their service to their Box account, Outlook will pop up a reminder to store their files in Box and send a sharing link instead of emailing the file directly. So far, the elimination of the storage cap is a feature that Box has reserved for its Box for Business customers, which charges each user $15 per month to use the Box services. The Office and Outlook integration covers both Box Business and Box Enterprise. Office 365 subscribers, as well as those who have purchased the Office 2013 suite, are eligible. In total, Box claims to have 27 million customers using its services. Amazingly, in the course of just a few weeks, Google, Microsoft, and now Box have completely overhauled the business cloud storage market. No longer is a storage limit in gigabytes acceptable. Under the new rules, any storage limit arguably disqualifies a service. In June, Microsoft unveiled a plan to give business users a whopping 1TB worth of storage, while increasing the free tier for other users. That arguably was in response to Google’s decision, in March, to charge Google Drive subscribers just $10 per month for 1TB worth of storage. Rival DropBox for Business takes a middle ground; though DropBox originally assigns 1TB to be shared among five users, it will add more “as your team grows,” the company says. But in June, Google decided to eliminate any storage cap on Google Drive for its Apps services, upping the ante yet again. Now, Box has called. When users save a file, they often have the option of saving it to their desktop, OneDrive, or a company server. Now Box will be added to the list, as well. Williams said the integration has been done in close partnership with Microsoft, using the company’s public APIs. “[A file saved in Box] is as much a first-class citizen as a file saved in OneDrive is,” she said. Box officials didn’t say what this will mean, if anything, for the collaborative Box Notes service. DropBox has also yet to ship Project Harmony, its own take on an office suite. Like Amazon’s recently-launched Zocalo service for enterprises ($5 per month for 200GB of storage) Box allows users to manually configure whom a file can be shared with, either inside or outside of the company. That puts the onus on employees to decide if sensitive company information can be shared with external partners, a feature that Microsoft’s OneDrive places in the hands of company administrators. 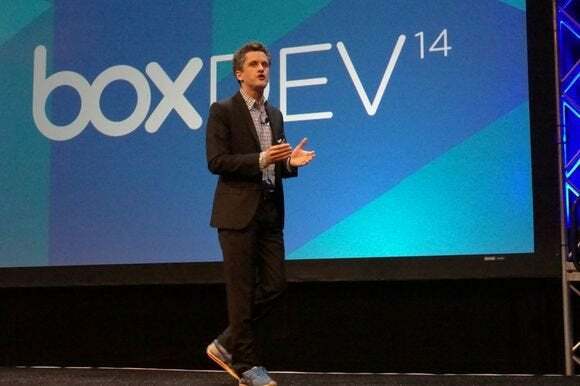 So far, Box does not have similar integration plans with Google Apps, but Williams said the company would be open to it.